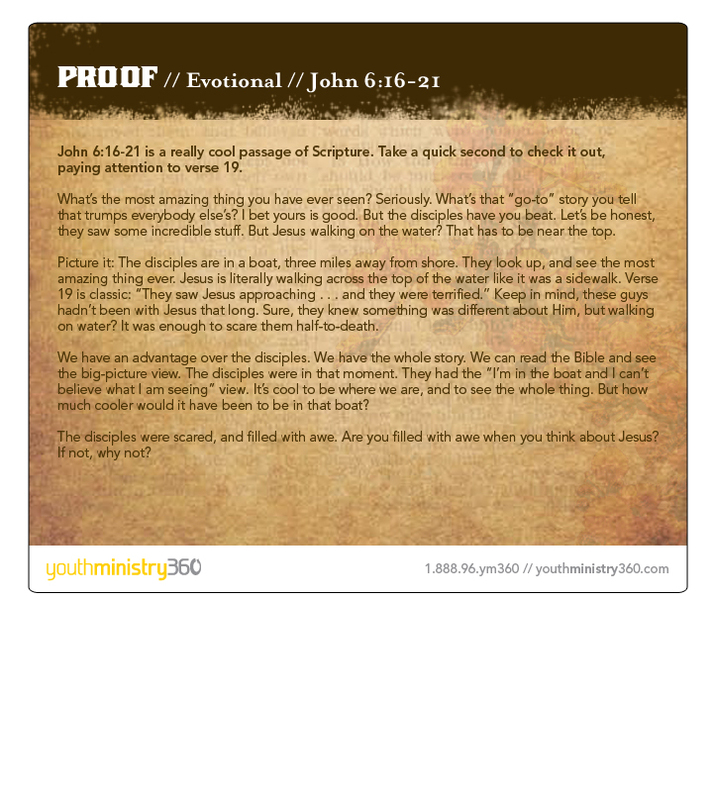 Proof helps your students see exactly who Christ is through His powerful teaching, His amazing miracles, and His death and resurrection. "Who is Jesus?" People have asked this for thousands of years. Your students are asking it, as well. And how they answer it is one of the most important things they'll ever do. John answered this question for us by proving the identity of Christ, painting a picture of Jesus as the Son of God, the promised Messiah, and the redeemer of God's children. 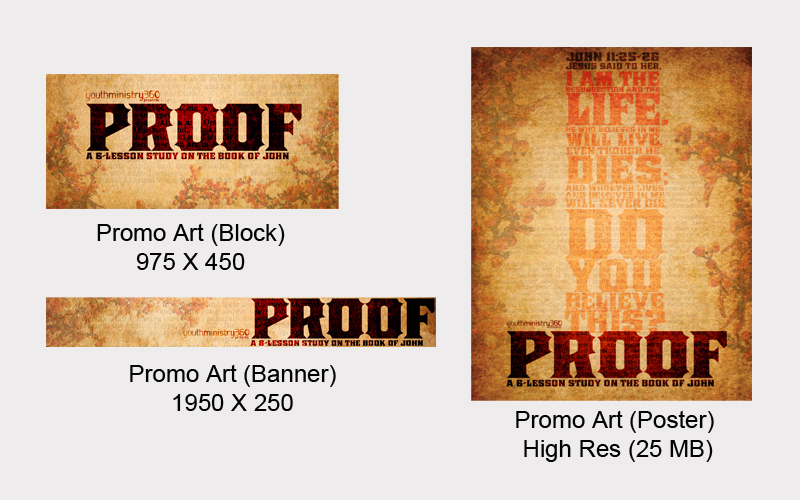 • Proof includes some incredible features; sample them all below. • Proof is not a video-based curriculum. 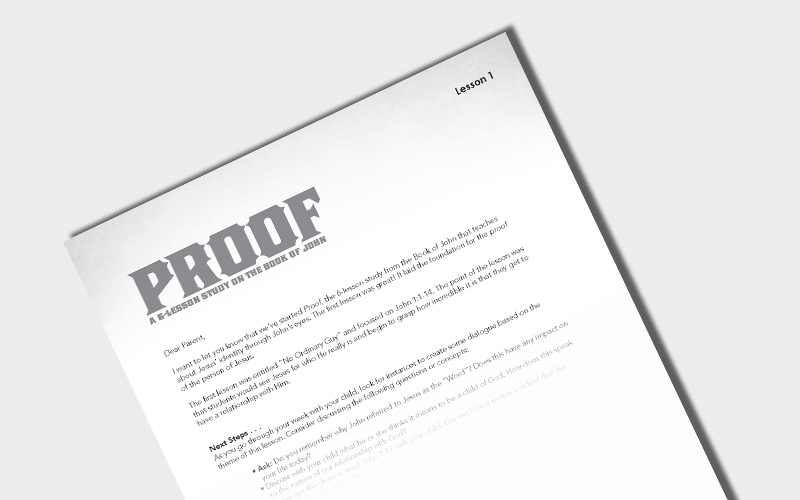 The heart of Proof is you (or a leader) teaching the Bible to students using the Proof curriculum. Each lesson in Proof includes interactive media of some sort. Three of Proof’s six lessons begin with a short illustration video like this one to grab your students’ attention and get them ready to engage with the lesson. 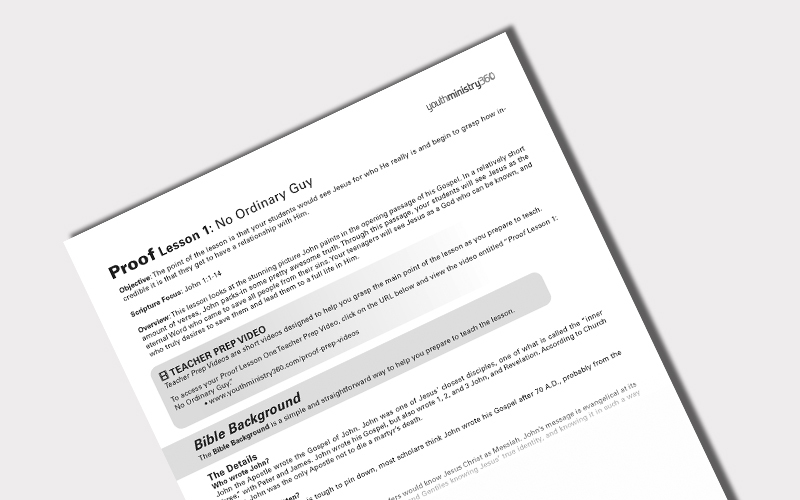 Each Proof lesson comes with an editable PowerPoint slideshow so you can tailor your presentation to any changes you make in the Lesson Plan. Partnering with your students’ parents to disciple their children is vital. 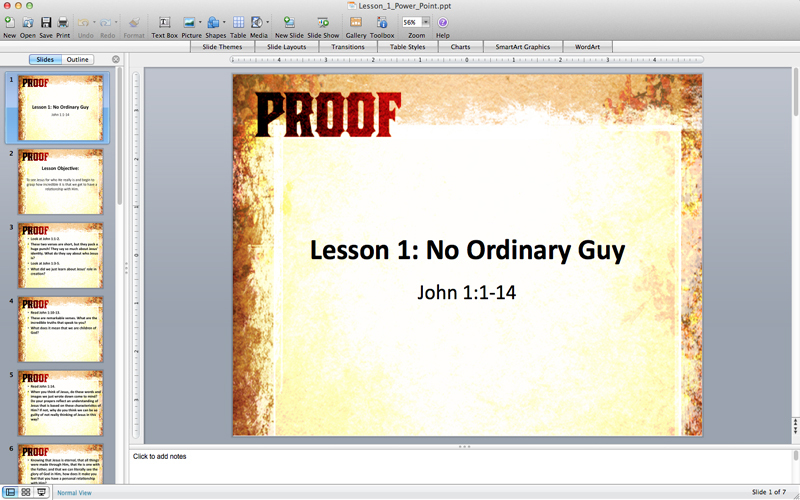 That’s why Proof is complete with Parent Pages in Word and PDF format for each lesson. Each Proof lesson features a Teacher Prep Video, short videos that guide your teachers in exactly what to focus on in their lesson preparation. 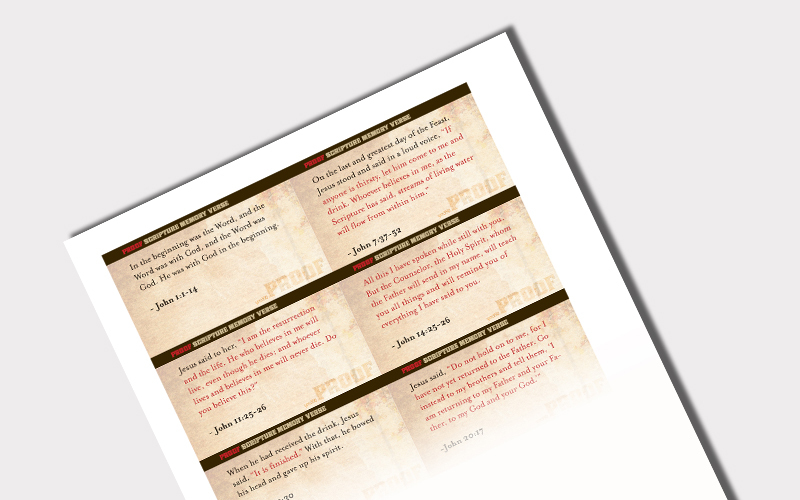 Proof includes a one-page PDF of creatively designed memory verse cards that correspond with each of the six lessons.